I'm so original, nobody would ever of thought to draw two girls in anime style wearing overly done frilly dresses with very long hair and weird ears. I'm a gonna put effort into this'n. Look at the boy who once said he couldn't color. 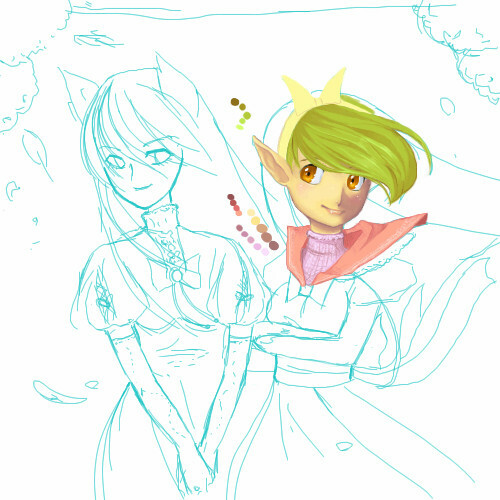 wow thats some really nice stuff right there, u color just like silvair do you have any coloring tutorials? No I just go on paintchat a bunch. Does that help with your coloring? And where do you find a vivid paint-chat? Majority of what I visited where pretty much dead. wow! this is looking REALLY good so far!